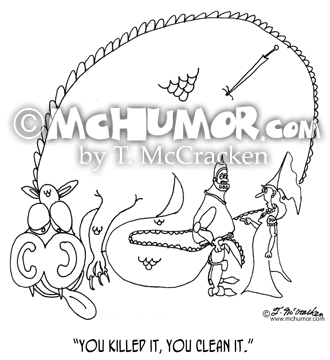 Hunting Cartoon 5404: A damsel saying to a knight who's killed a dragon, "You killed it, you clean it." 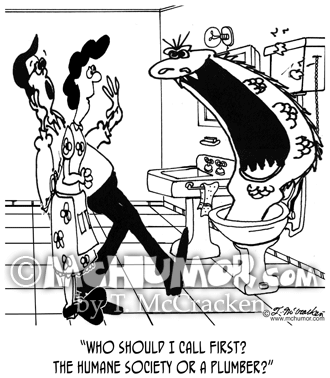 Plumbing Cartoon 5962: When a dragon comes out of a toilet a woman asks her startled husband, "Who should I call first? 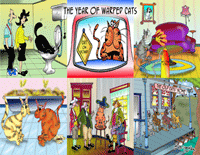 The Humane Society or a plumber?" 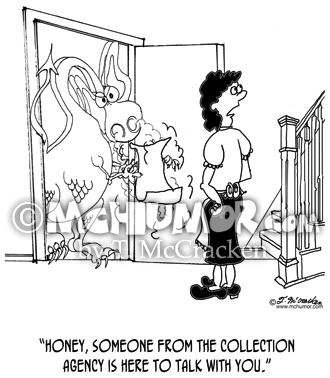 Bankruptcy Cartoon 8647: A woman seeing a dragon at the door says, "Honey, someone from the collection agency is here to talk with you." 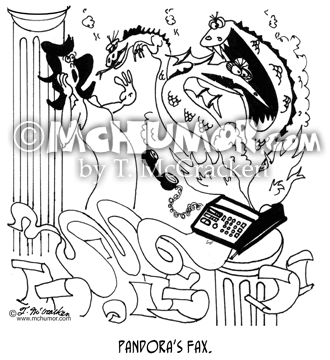 Fax Cartoon 5565: "Pandora's Fax." 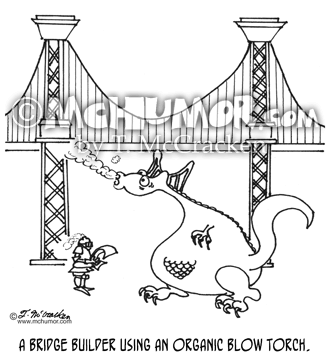 An ancient Greek woman's fax machine spews forth all sorts of demons.